The idea of a remote island often brings up images of palm trees, coronas, and relaxation. Paradoxically, an island can also be terrifying. You are surrounded by water on all sides and can feel cut off from modern society. Sometimes things so terrifying can occur on remote islands that it seems the energy of these events linger and transform these island paradises to island horrors. 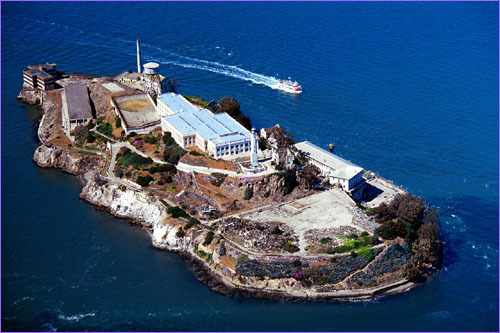 Located in the San Francisco Bay, Alcatraz Island is famous for having a maximum security federal prison built on it. This prison was in operation from 1933 to 1963 and it housed some of the most infamous criminals of the twentieth century. “Machine Gun” Kelly, Al Capone, and “Doc” Baker are among the people who were put behind bars in this notoriously brutal prison. In 1972 it was opened to the public as a national recreation area. Since this time visitors, security guards, and other employees have been reporting paranormal activity. People report hearing sobbing and clanging against cell bars with no source. Others claim to hear the ghost of the infamous Al Capone. AL Capone spent his dying years on Alcatraz Island. Capone was known to sit in the shower room playing his banjo instead of going to the yard during recreation time. Some have claimed that you can still hear Capone picking his banjo to this day. The reports of ghosts also date back to when the prison was still in operation. One of these stories is said to have to do with a prisoner who was in Cell 14D. The prisoner screamed in horror all night claiming there was a green-eyed monster in his cell that was trying to kill him. The next morning the guards found the man in his cell, dead. He had been strangled. After this event, the guards would often come up with one extra prisoner during head count. The other prisoners would claim to see the ghost of the prisoner of Cell 14D standing in line and vanish after being counted. When people vacation in Hawaii they normally go for relaxing on the beach, eating exotic food, and experiencing an exotic culture. They do not normally think to go ghost hunting, but the string of islands that make up Hawaii are supposedly some of the most haunted islands in the world. The old Hawaiian religion was not easy on those who would break moral code. These sinners or kapu as they were called, would be executed, hunted down like animals some of the time. They could redeem themselves, though, and avoid death. If they reached a temple before being killed they were aloud to then work off their wrongdoings. The largest of these temples still stands today in Honaunau National Park. Some claim that you can sometimes see the ghosts of poor men still trying to charge toward the temple. In Waianae there is a spot called Kaena Point where it is said that heaven and hell literally come together. The old Hawaiian religion said that this place was the home of the gods. People claim to hear disembodied voices in this area that speak of strange things that are beyond human understanding. There are also countless other paranormal hotspots in Hawaii, so the next time you decide to go soak up the sun in this island paradise perhaps do a little paranormal investigating as well. Seguin Island is located at the mouth of the Kennebec River in the U.S. state of Maine. The lighthouse that currently stands on this island was built in 1857 and is the highest lighthouse in the state. 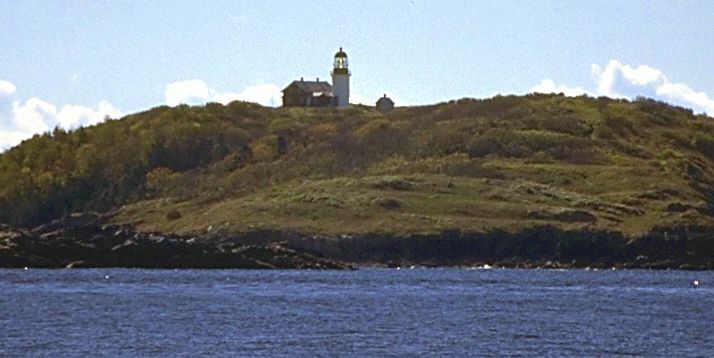 While the lighthouse on this island has undoubtedly protected sailors from the dangerous rocky waters off the coast of Maine, those who have stayed in the lighthouse as its keeper have a history of horror. One of the first keepers of the lighthouse lived in the house with his wife many years. To break the terrible silence of the isolated island the keeper’s wife would often play the piano. Unbeknownst to her, the same isolation that drove her to the piano would drive her husband to murder. Late one night the lighthouse keeper killed his wife with an axe. He then turned the axe on himself and ended his own life. Many claim that you can sometimes still hear the sounds of a phantom piano even though there is no longer a piano on the property. Also, in 1985 the lighthouse was decommissioned and all the furniture was to be taken out of the lighthouse. The warrant officer overseeing the seizing of the furniture stayed in the lighthouse. One night while he slept he was awakened when his bed began shaking violently. He then heard a disembodied voice shouting, “Leave my home alone!” The officer ignored the ghost’s warning and packed up the furniture and sent it off on a boat. The boat carrying the furniture sunk in a freak accident on its way to its destination. Imagine you decide to take a vacation to Mexico. I do not mean American Mexico, like Cancun, but you actually want to see the real Mexico. You decide to go to Mexico City. While there you decide to take a ferry ride down Xochimico's canals. The ride is relaxing and you are enjoying the exotic plant life that grows along the banks of the canal. Suddenly you start seeing dolls hanging from the branches of the trees. You eventually see an island and every piece of vegetation has either complete dolls or doll heads hanging from them. Don Julian was a hermit who lived in a shack located on the island. He claimed that the ghost of a young girl who drowned in the canal haunted him. To appease her angry spirit, Julian began collecting baby dolls and hanging them from the trees for her to play with. In 2001, Julian was found dead by his nephew. He had drowned in the same canal as the girl who tormented him through out his life. Tourists who visit the island today claim to hear the dolls whispering and some of the dolls open and shut their eyes on their own accord. The island has been featured on the Syfy Channel show Destination Truth, in which a paranormal investigating team spent the night on the island. They had a terrifying experience, seeing apparitions, feeling inexplicable paranoia, and hearing disembodied voices. Poveglia is a small island located between Venice and Lido in northern Italy. During the times of Ancient Rome the Island was used as an isolation area for plague victims and it was used as a quarantine station again when the Black Death swept through Europe a few centuries later. In the early 1920s a mental hospital was built on the island. Local folktales claim that the hospital was home to a doctor of the insane variety. He would perform cruel experiments on the patients being kept there most of which were elderly, as metal hospitals and nursing homes were practically synonyms in the early 1900s. The doctor eventually attempted suicide by jumping off the roof of one of the buildings. Supposedly he survived the jump but a strange mist arose from the ground and strangled the doctor, finishing the job. All attempts at populating the island have been met with frightened people fleeing from the island in terror. Today, Poveglia is uninhabited and the Italian government has declared it completely off limits to the public. Many legends and claims of ghosts of plague victims still surround this creepy island. Some claim to see strange lights coming from the island. They also claim to still hear the moans of those who were tortured on the island. Fishermen also refuse to fish near the island because they will often dredge up human remains. Islands are often seen as being a paradise on Earth. People often venture to remote islands to escape the pressure of every day life, and relieve their stress by relaxing on a sandy island beach, but as illustrated by these five islands looks can be deceiving. Islands are often cut off from the rest of the world and can be the scene of atrocities as a result of disease or insanity. So the next time you are vacationing on a beautiful island keep your eyes open and be on the look out for the supernatural.